UPS Lady: No, ma’am, the vendor has specified that a signature is required. The truck driver can’t ignore that, because then he would be responsible if the items were damaged or stolen after he left them. Me: They are toilets! You leave things like iPods and TVs on my doorstep all the time when I’m not home to receive them. UPS Lady: I can’t comment on that. Me: I will release you from any liability, and take my chances. I just don’t think there’s a huge market for hot toilets. UPS Lady: No, sorry. But you could come and pick them up. We’re open until 10 p.m.
Me: Sure, I’ll just throw both of those 100-pound, roughly grizzly-bear-sized boxes in my trunk. No problem. UPS Lady: We can deliver them to an alternate address. Your work, maybe? UPS Lady: What would you like me to do? Me: Fine. Bring them on Wednesday. Can you at least give me a time window? UPS Lady: Well of course I can! Your items will be delivered sometime between 8 a.m. and 9 p.m. on Wednesday. I have you on the schedule. Is there anything else I can help you with? This is how I came to take a day off work on a Wednesday in 2006. I stayed home all day, waiting, waiting… and the toilets did finally arrive at around 7 p.m., I think. The kicker is that those things have not given me a moment’s peace in three years. And of course, never do they act up more than during the holidays, when the house is full of people. I’ll spare you the details, but they would not make Sir Thomas a happy Crapper. And they’re not even comfortable to sit on, for crying out loud. Talk about a couple of incommodious commodes. Some things are just not worth staying home and waiting for. Mix all of the first dough ingredients just until combined. Place the dough in a covered, lightly oiled container and ferment for 12 hours at room temperature. In the bowl of a stand mixer, combine the flour, salt, egg yolks, orange zest, vanilla seeds, first dough, and about a third of the water. Mix in low speed until the ingredients are just combined, about 3 minutes. Turn the mixer to medium speed if it has one, mix for a minute or two, then continue to mix while slowly adding the sugar, in about 5 or 6 increments. Mix for one to two minutes between additions. Continue to mix until the dough pulls away from the sides of the bowl and the gluten is almost fully developed. Turn the mixer back to low speed and add the butter. Mix for a minute in low speed, then in medium speed until the butter is completely incorporated into the dough and the gluten has reached full development. In low speed, add the honey, and enough of the remaining water to give you a very soft dough. In low speed, add the chocolate, ginger, and candied peels, mixing just until they are evenly distributed. Place the dough in a covered, lightly buttered container. Ferment at room temperature for one hour, folding the dough after the first 30 minutes. Turn the dough onto a well-buttered surface. 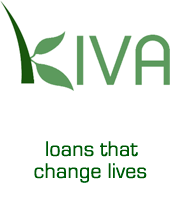 Divide the dough into three pieces, and form each piece into a light ball. Allow the balls to rest (may be left uncovered) for 20 minutes. Meanwhile, skewer each paper mold by piercing the side of the mold at the bottom edge, running it along the mold’s bottom and out the other side. Shape the dough into tight balls and place into the skewered molds. Proof at 80F (inside a giant plastic bag with a bowl of warm water works well) for 4 – 6 hours, or about 12 hours at room temperature, until the dough is risen to an inch or so below the top of the molds. When the dough is nearly fully proofed, preheat the oven to 350F, with the rack in the lower third of the oven. To mix the glaze, whisk all ingredients together. Pour, brush, or pipe the glaze evenly onto the top of the loaves (don’t worry if there are some bare spots, or if the glaze pools where the dough meets the mold). Sift powdered sugar over the tops (it will melt in, but helps make a nice crust), then sprinkle with pearl sugar and a few blanched almonds. 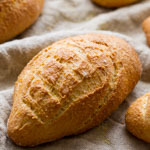 Place the loaves directly on the oven rack and bake for about 40 – 45 minutes, until the tops are dark brown and the internal temperature is 185F. If the tops are already quite dark after 25 – 30 minutes, turn the heat down to 325F. 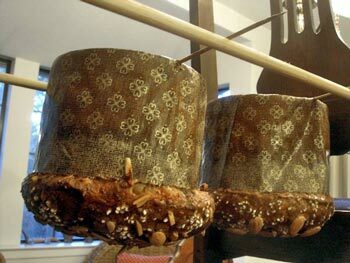 While the panettone is baking, set up your hanging apparatus (see original panettone post). When the bread is done, hang them as quickly as possible. Allow the panettone to hang for at least four hours until completely cool, or up to overnight. Note: These instructions assume you are starting with a vigorous “regular” sourdough starter. If you don’t have a starter yet, here’s how to start one. 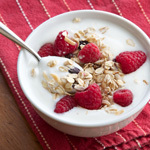 If you are starting with a stiff (50%-hydration) starter, skip to step 2. If starting with a liquid (100%-hydration) starter, convert it to 50% by combining 40 g starter with 20 g flour. Ferment for 4 hours at 85F. For each subsequent feeding (except the final one), discard all but 28 g starter, and add 20 g flour and 10 g water. Ferment for 4 hours at 85F. Repeat for about 2 days. For the final feeding (4 hours before you will use it in the first dough), combine 56 g starter, 40 g flour, and 20 g water. Ferment at 85F. You will need 97 g for the first dough. Happy in-between holidays! I see you’ve changed from using two skewers to just one for hanging the panettone. Any disadvantages from using one skewer? Do you think I could make these in an angel food cake pan? I’ve never made them since the first (wildly successful–no pun intended on your blog but it was your recipe) time, at my mom’s house, bc she has a drying rack and I do not. So I cannot figure out how to cool them upside down other than in an angel food cake pan. Would getting them out be terrible? Would the inner air circulation somehow kill the recipe? I like the hanging method. It is so new to me. 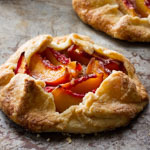 They look delicious and easy to make. Thanks for sharing! Wow, I am glad I just have normal toilets..
What a labour of love – I have never made panettone before. They look perfect. Susan, I am so happy you tried again and can’t wait to get home to try this recipe. Now you got me curious. I have no idea what IS a pressurized toilet. But it does make me a little nervous. who would pressurize that? One wonders. I will have to google, I guess…. 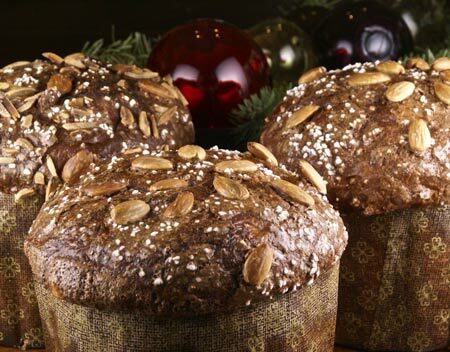 Congrats on your new panettone successes – Beautiful stuff! I read a lot of blogs every day and love them, but most are just your regular, run of the mill posts. P.S. 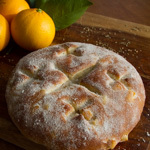 I am never, ever going to make Pannetone, but it’s very interesting to see how it’s done. Thanks for sharing. Exploding toilets….. Hmmmmm I’ve got a friend that lives up towards Volcano Village that has the pressurized toilets in her home. I wonder if she knows of the “problem”!!?? Way too funny of a read!! By the way, I’ve never have eaten Pannetone. Is it THAT good to go to the trouble to make?? It means Happy New Year and it is pronounced “how-oh-lay ma-ka-hee-key ho”. There are so many reasons I love your blog, but underlying them all is your wit and your writing. Another great post! It was your panettone that got me hooked on your writing and recipes last year, so we’ve come full circle. Happy New Year, Susan! I love the preface to this post. Had me laughing the whole time. Panettones are definitely worth waiting for, especially ones as scrumptious as these are. I love all of the ingredients you put in them! You made my day with this post! This was extremely funny! I do have to check what pressurized toilet are, though. 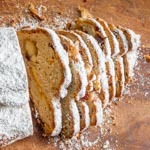 Nice panettone – I’m going to make one this weekend (it’s part of the BBA Challenge). I almost peed myself reading your delivery story. Then I got distracted by the bread . . . . I LOVE PANETTONE! 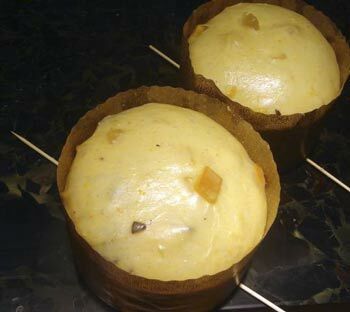 Hi, I am a newby to baking and would love to try making panettone. 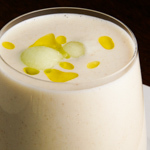 Can I use regular sourdough starter that I purchased from king arthur? Do I have to convert the sourdough starter to a sweet starter and if so how do I do that. 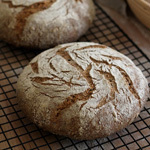 Hi, I have a question for the sweet starter – shoud I feed it with rye and wheat flour, or only with white wheat flour? Thank you. My sister lead me to your wild yeast blog site. 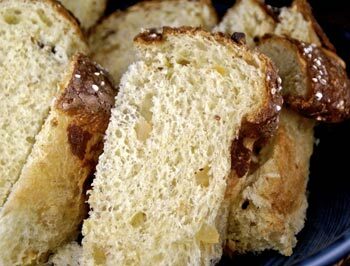 We both love Panettone & I would love to make your recipe. Is there a way I can print it? 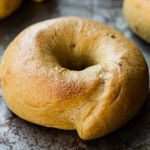 You have many recipes that look & sound totally delicious!